In February, the biggest IT companies in the world — including Twitter, Facebook, Apple and Microsoft — were hit by sophisticated cyberattacks. More than 40 companies were hacked. Microsoft, whose servers were hit last, said that the hackers failed to steal user data. Microsoft keeps its user data in cloud storage on the Internet, and one of Russia’s first privately-owned companies that can help keep such information safe is B-152. The service was named after Federal Law No. 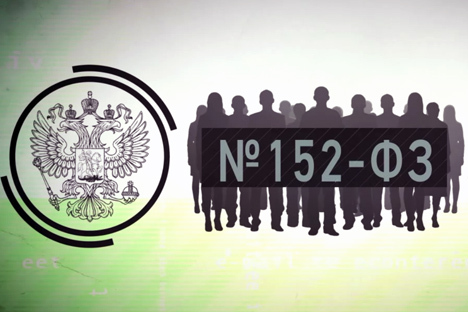 152, which was amended in 2011 and requires all companies to process the personal data of their customers and staff according to a unified procedure; it also stipulates that relevant reports to Roskomnadzor (the federal service for Supervision of Communications, Information Technology and Mass Media) have to be filed. Under the law, businesses are given 12 months to sort out all the documents. In 2011, Maxim Lagutin was a fourth-year student at the Russian State University of Tourism and Service, specializing in information protection technologies. Maxim’s strategy was simple: he wanted to automate personal-data processing, in order to attract customers by offering them lower prices. To learn the nuances of the business, he took a job with a data-protection company and spent three months there. In May 2011, he launched his startup and, after six months, B-152 broke even. The developers say initial investments in the project, which were provided by a private investor in exchange for a large shareholding, amounted to $25,000. The team invested another $3,000 in B-152 when the beta version was developed. The company does not reveal its actual profits; they only share that, in 2012, they managed to raise $25,000 from TexDrive business accelerator and earn in excess of $80,000. Analysts give quite an optimistic outlook for the company: the Russian market for personal data protection services is growing fast. The International Data Corporation had projected that the market for information security services would expand by more than a third in 2012, servernews.ru reports; the main growth driver is the need for businesses to comply with the law. “The B-152 service is a package of web-forms with simple questions for the customer to answer. The system automatically analyzes the input data and makes an entry in the requisite documents, enabling the customer to download the forms that are relevant only to his business. The service not only prepares the entire package of documents but also makes automatic updates if regulatory changes should be introduced, so users will only have to download the documents again,” says Lagutin. The future of the company will depend on how fast its customer base grows, says Roman Tkachuk, a senior IT analyst at Nord-Capital. B-152 mostly services small and medium-sized businesses engaged in a variety of activities — from making soft furnishings to pharmaceuticals and telecoms. There are about 1,500 of them. B-152 charges its customers between $250 and $1,600 per year, depending on the service package (the cheapest one covers document processing and updates, whereas the most expensive option includes insurance against non-compliance with Roskomnadzor requirements and expert consultation). Roskomnadzor is keeping a watchful eye on B-152: the watchdog recently discovered an old version of one of the regulatory acts on personal data and notified the service provider. Lagutin says the problem was rectified immediately. The number of B-152 customers may increase as penalties for disclosure of personal data rise, Roman Tkachuk at Nord-Capital says. Fines are currently not high enough for companies to spend more on information security. However, the Economic Development Ministry has published a draft amendment to the Administrative Offenses Code, which boosts the fines 50-fold. An unscrupulous business may now be facing fines between $6,500 and $23,000. Still, B-152 plans to expand its business further, and it is looking in several areas: the startup is planning to offer protected servers for their customers to store their data. Such services will be the trend of the future, Maxim Lagutin says.